As Live Casino games gain popularity we are seeing more and more online gaming platform providers adding Live Casino Software solutions to their portfolio of games. 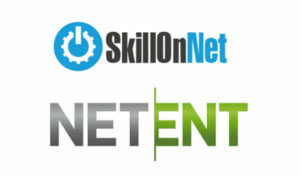 SkillOnNet is the latest provider to announce a new collaboration, this time by adding live games from NetEnt Live. Popular software provider and white label specialist SkillOnNet adds NetEnt Live casino games through its network of online casinos including major brands such as DrueckGlueck, PlayOJO, PlayMillion and SlotsMagic.com. 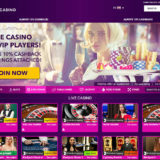 “We are delighted to now have NetEnt Live which brings increased visibility and added quality to the Live casino games section we already promote. Now with probably the biggest list of live casino providers, we believe we can really make our mark in this very popular and growing vertical”. 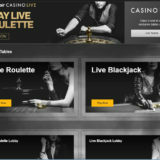 NetEnt Live was developed in collaboration with actual casino players. The result is a virtual casino that utilizes Chroma Key technology to deliver a fully customizable casino environment, together with live dealers, and is accessible around the clock. Players are able to choose from a great selection of casino games on both mobile and desktop: NetEnt Live Roulette, NetEnt Live Common Draw Blackjack and NetEnt Live Blackjack. All this contributes towards giving NetEnt Live an extremely high degree of differentiation. 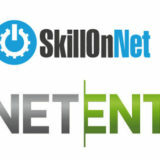 “We are delighted that SkillOnNet has enhanced their portfolio with NetEnt Live. 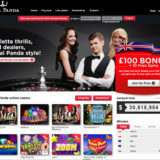 Adding Live Rewards; the industry leading live portfolio for mobile; and our full portfolio of casino games will significantly bolster their casino offering’’.